If you’re looking for Salt Lake City apartments that are a little removed from downtown, but don’t come with a vicious commute, take a look at these four complexes in the suburbs. Each community is different, so visit each of them before you make your decision. 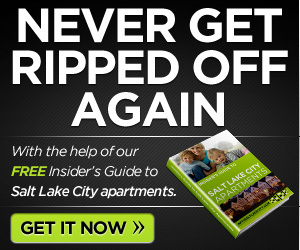 Located just 13 miles from Salt Lake City, apartments don’t get better than these. Complete with fancy flooring, black appliances, and beautiful countertops, you’ll have pretty much any amenity you could imagine here. With eight different floor plans, you’ll have more options than you know what to do with. There is no size limit in the pet policy, but some breed restrictions on dogs apply. Only 14 miles from downtown Salt Lake City, and with great views, these apartments are in a brand-new community. Close to great shopping, dining, and entertainments, this new area is buzzing with potential. Perhaps the best part about this complex is that each unit comes equipped with a washer and dryer. There are tons of community features including a courtyard, fitness center, playground, pool, spa, and more. At most, 2 pets may live with you. A quick 8.5 miles away from Salt Lake City, Cherry Lane apartments are in beautiful Bountiful that somehow manages to keep its small-town feel. The views from this apartment complex are spectacular and you can get lost in the walk-in closets. Floor plans here include a 1,100 square-foot 3-bedroom unit, so you’ll be able to find the perfect layout for your situation. Plus, the complex is minutes away from great outdoor recreation activities. Pets up to 40 lbs. are allowed. 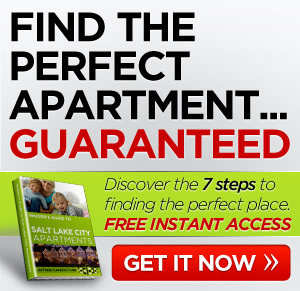 The closest to downtown Salt Lake City, these apartments are less than 7 miles away. 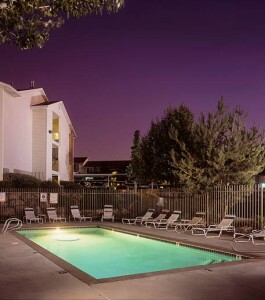 Granite countertops, an included Internet-cable-phone package, large bedrooms, and flexible lease terms are just a few of the things that make this apartment complex stand out. There’s even a fenced playground fortress for those of you with children. Pets allowed with some restrictions. These are some of the best Salt Lake City apartments I know of for avoiding the hectic nature of big city life while avoiding a gigantic commute. I think you’ll find balance in one of these four apartments.